A single defeat should not stop you from trying over. It does not mean the end of what you are trying to achieve. Let it serve to motivate you to try harder, do better. Comments (0) | | Categories: Shareable Quote, Social Media, Sweet Stuff, Take Action! 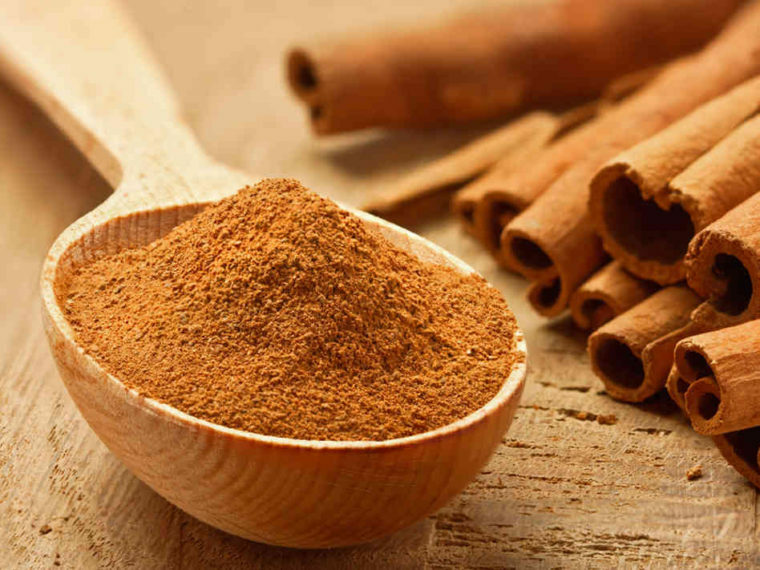 One of the tastiest ways to nix your sugar cravings is with a spice you probably have in your cupboard right now: Cinnamon. You may know this culinary spice for the warm, aromatic flavor it gives baked goods. Cinnamon, in my opinion, is one undervalued space. For instance, cinnamon has been used to treat muscle spasms, vomiting, diarrhea, infections, the common cold, loss of appetite, erectile dysfunction and many other conditions. Pretty impressive for an ingredient derived from the bark of a small evergreen tree. Crazy Cravings™ for sugary, fatty, salty foods can, as you, of course, know, can be insistent, frustrating, and downright exasperating. I’m determined to help you triumph over these badly behaving, annoying intruders. But to give you the easiest, simplest, most powerful tools to Crush Your Crazy Cravings™ (as I put it), I need your input. So please take my 2016 Reader Survey now. 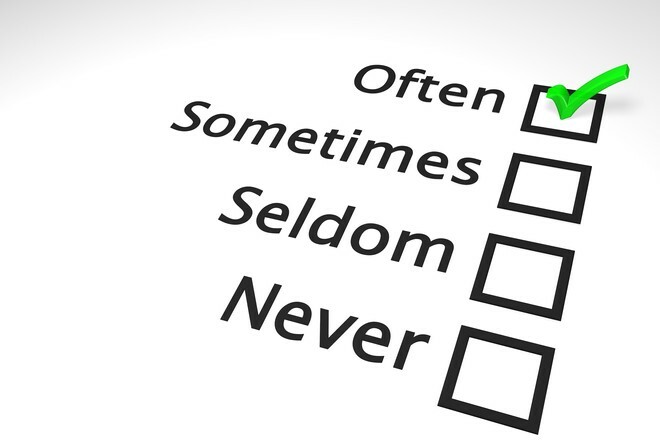 As you’ll soon see, this 2016 Reader Survey is really easy to fill out. You tell me about your cravings and then I’ll bring you the most effective, portable, innovative tips and tools so you can easily, effortlessly Crush Your Crazy Cravings, break free of food obsessions, shed weight for good and take back your Sweet Power. To best serve your need, I need to know more about you and your cravings. Bear in mind that when you take my 2016 Reader Survey, you’re sharing insights so I can help you and many like you. Author of Sugar Shock, Beyond Sugar Shock: The 6-Week Plan to Break Free of Your Sugar Addiction & Get Slimmer, Sexier & Sweeter and the upcoming Crush Your Crazy Cravings. Comments (0) | | Categories: Announcements, Cravings-Crushing Mondays™, Crazy Cravings™, Crush Your Crazy Cravings™, Help, Take Action! 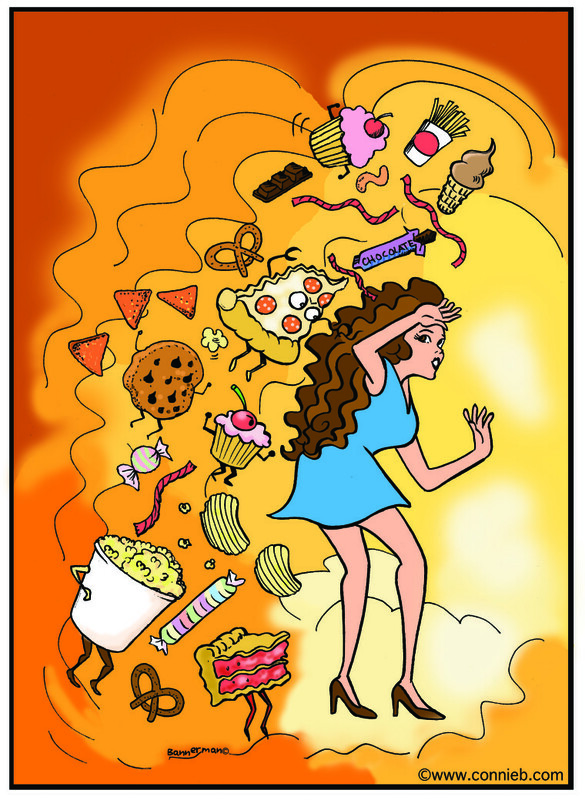 Do You Feel Chased by Sugar Cravings & Salt Cravings? 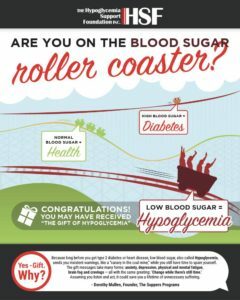 https://conversionfanatics.com/healthandwellness cheap generic viagra mail order pharmacy Do you often feel like that your sugar cravings, carb cravings, fat cravings or salt cravings are chasing you? In short, do you feel hounded, haunted or harassed by what I call buy now Crazy Cravings™? Do your fierce, wild, seemingly irrational urges for sugary, salty, fatty, fiber-stripped, nutrient-deprived, ultra-refined snacks and “treats” suddenly strike you like vultures swooping in to nab their doomed prey? 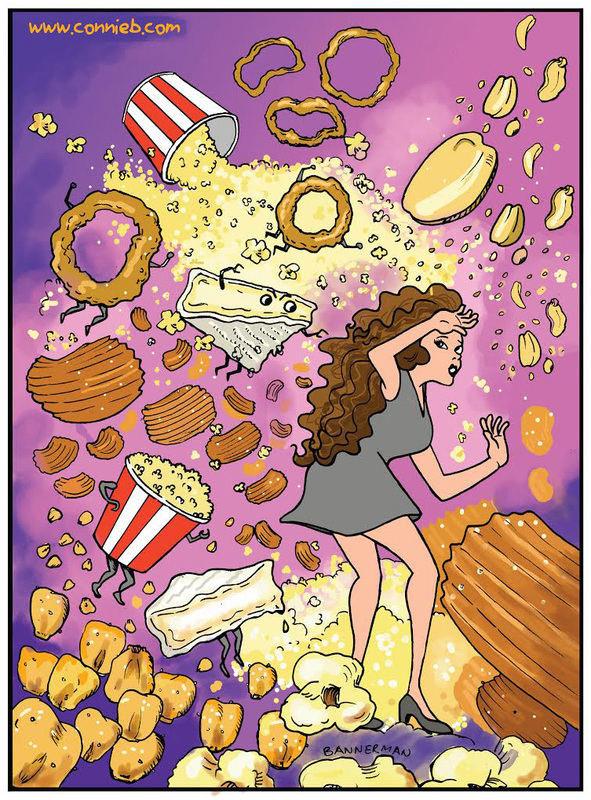 Next, do you find that you can’t stop thinking, fantasizing or obsessing about your favorite cupcakes, pretzels, popcorn or [fill in the name of your preferred drug—okay, I mean, your trigger food]? Then, do your Crazy Cravings for your favorite junk foods wrest your control from you, rule you and ultimately strip you of your power? Soon, without your knowing how or why it happened, your good intentions to diet or eat healthily vanish. You eat — or most likely, binge — with speed, ferocity and mindlessness like a runaway train that’s gone off its tracks. Soon, the numbers on the scale rise and your health backslides. click here Take heart. Help is here. It is my pleasure to announce that early every Monday morning in 2016, I’ll share fast, easy, convenient tips to help you easily thrive and rise above your Crazy Cravings in this fast, convenience-driven world. Continue reading... » | | Categories: Announcements, Break Free With Connie, Cartoons, Cravings-Crushing Mondays™, Crazy Cravings™, Take Action! 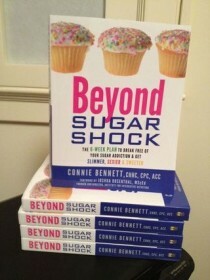 Get a complimentary copy of my latest book, Beyond Sugar Shock (Hay House). Yes, until my limited supply runs out, you can get my latest book in my first-ever Book Giveaway. Why am I giving away free copies of Beyond Sugar Shock? First, I want to help you. Secondly, I’d like your help. I’ll share easy, valuable, cutting-edge tactics to help you let go of your “need” for sugar, processed carbs (what I call “quickie carbs”) or other salty, fatty non-foods so you can shed weight, get more energy, reverse pre-diabetes or other diseases, and live a longer, happier, sweeter life. In addition, when you, as a valuable member of my audience, tell me what you want and need, I can tailor-make articles, blog posts, and products just for you. If you’re in a hurry or desperate for help, please note that to get a free book, you need to follow the Book Giveaway Guidelines. So if you’re short on time, please jump to the next page to learn about the guidelines to get Beyond Sugar Shock. Continue reading... » | | Categories: Announcements, Beyond Sugar Shock, Break Free With Connie, Catching Up With Connie, Help for Sugar Addicts, Take Action! It’s time to share a great treat with you. This is sweet, but not the dangerous, sugary kind. JJ–whose groundbreaking book, The Sugar Impact Diet, hits bookstores soon—is helping you Thursday in a complimentary online video event. JJ’s latest discoveries about how we’ve been looking at sugar all wrong. Her new SID 4T protocol, which gives you control over sugar in 2 weeks. Frustration-free ways to keep sugar off your plate at every meal—including how to weed sugar out of your fridge and pantry. and gluten expert Dr. Tom O’Bryan, who’s on now. JJ is even giving away some great prizes such as goodies from Vital Choice Seafood and more. See you in the chat area on JJ’s livestream? Dr. Christiane Northrup. 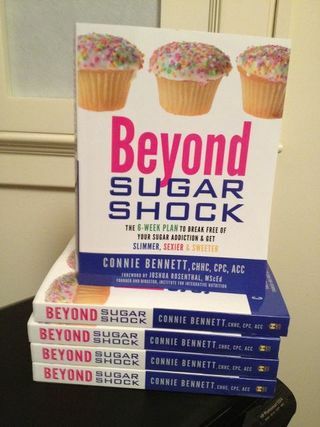 Connie is now planning the first Sugar World Summit, which will feature 21 of the biggest names in sugar and carb addiction, recovery, mindful eating, compassion, and weight loss, etc. 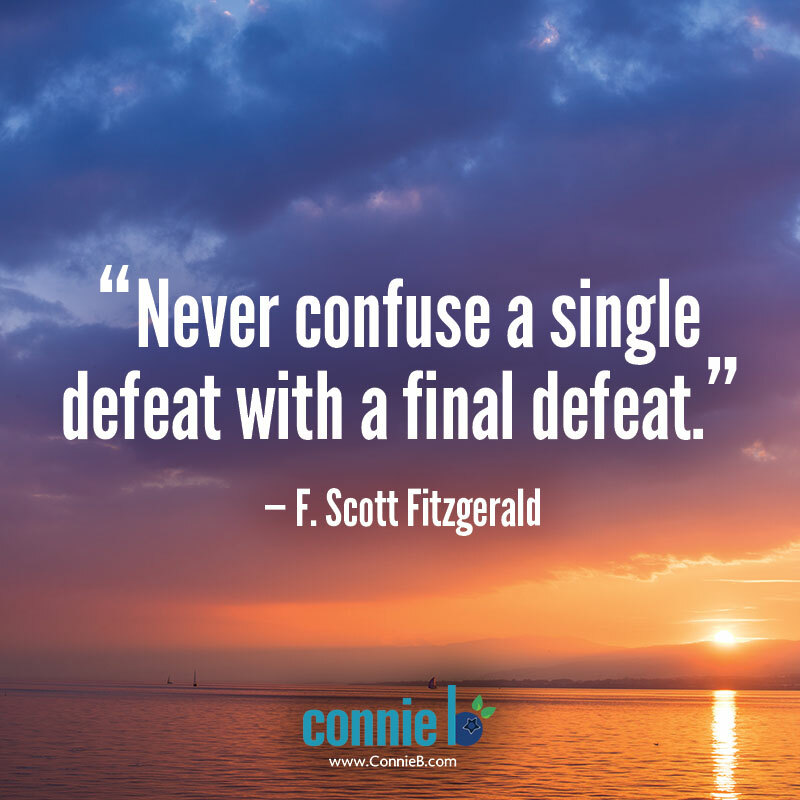 Connie is also completing her next book, The Bounce Back Diet™, which will help millions, who’ve lost their way around food when walloped and blindsided by overpowering emotions and challenges such as death, divorce, moving, financial loss or another life-changing event. Stay in touch. Sign up for Sugar Shock Blog uupdates here. Comments (0) | | Categories: Get Inspired, Sweet Stuff, Take Action!